Do You Have an Acne 'Safety Net'? Ah, it’s not crazy… I was the same way when washing my face was my safety net. No matter how tired I was… it could have been the longest, drunkest night on the town, and it didn’t matter…. I would ALWAYS wash my face before bed. My safety net… Brocoli and bell peppers! Haha! I’ve had a huge breakout on my chin and forehead for a couple of days, it’s clearing up pretty easily, I’m eating lots of green veggies. And you know what? In my head, I believe that if I eat lots of greens, it will neutralize the redness in my face and the inflammation. Green cancels red. Go figure! 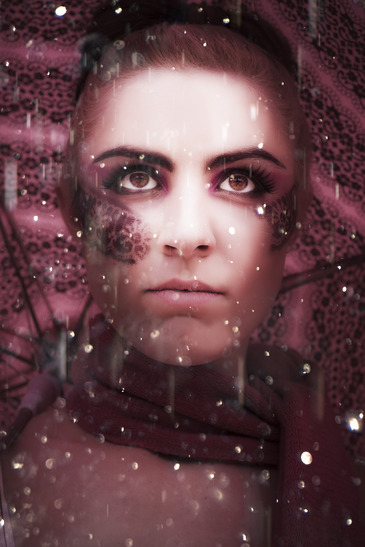 My safety net is probably the most common one of all – makeup. I absolutely cannot cannot cannot envisage going without makeup on my skin. It means I can hide and cover up and at least try and distract people, and more importantly myself, from obsessing about my skin whether I’m out and about or on my own. I find that when I wear makeup I leave my face alone – no touching and picking and worrying about it. Obviously I am waiting for the day to come when I can go without makeup, but until then I really do rely on it to improve my self-esteem and the way I feel about my skin. Oh yeah, I forgot about makeup because I was thinking only along the lines of things that you do to try and get rid of it, where as makeup is something you do to deal with it – but you’re right!!! This is also one of my safety nets. I’ve definitely downgraded my attachment to makeup, but I admit it’s still there! Hmm, I wish I had a safety net. Unfortunately, so far I haven’t really discovered anything that considerably improves my skin. Hopefully that will change after I’ve finished reading this blog, as it contains a wealth of information. Thanks Zee – that’s definitely a good safety net along with being happy and as stress free as possible 🙂 both are pretty awesome. Glad to hear you’re almost there! This guy also has a great variety of advice that i haven’t heard on here or anywhere else really and has worked for me. Hey Mario – good video. Interesting, I’ve never heard anything specific about the lungs being linked to acne (aside from like… breathing deeply releases stress, which can obviously have a positive effect on the skin). Which specific tips from this video did you put into practice that helped you? Reishi mushroom. Salt water flushes once in a while..
And many of his other video’s that just improve many areas of life/stress that i feel also improve acne just from feeling better about my self overall. Yeah and breathing deeply also helps balance ph levels. My safety net used to be a daily shower (or 2 showers-one in the morning and one at night). But after going no wash caveman approach I realized how over washed/dry I was making my own skin so now I shower when I need to, more like every other day or after exercising. So I got over that! I have gone back to washing my face though, but it is with colder water/no soap so it shouldn’t dry it out as much. Good post tracy! Be defined as a healthy/happy person, not by adhering to a diet/food. Learned a lot right there!! I learned a lot just from writing this post – I actually feel very happy today after having defined what it is that I am trying to do! Like as if I really can achieve it now. Well what have you learned? Do share. Or did you just mean that you learned from what people have posted in replies? No I just mean that I learned what I was doing from writing this post – the pattern of “testing myself” with unhealthy food was actually something I was doing to see if I could switch my safety net – I didn’t make this connection until I wrote this, and for me, this feels significant. I don’t have acne but i’ve been in position where I’ve made a belief system, based of off truth, that soon became rule-like . I was a personal trainer… my ‘rules’ soon turned into orthorexia and certain exercise rituals which i believed would save me from my fear. Really, everyone does this to some degree. some are just more false. some are just more recognizable etc. Thank you for writing about this. Also I think you would really dig Vipassana meditation. I have a few ‘safety nets’, but I don’t really rely on them, so I guess it’s more of a way to ‘prevent’ acne… Green Pastures butter blend cinnamon tingle – I really think this keep inflammation down and it’s full of nutrients! Not washing my face half as much also seems to help as I’ve been getting dry skin for a few months now. Just washing with water once a day or two is good, but occasionally I will apply MSM cream. (also not washing my hair everyday has helped a lot! – I have curly/wavy hair which we all know tends to be drier.) Lastly an all rounded ‘good’ diet, based on Paleo/Primal. And of course, reducing stress in all accounts helps! 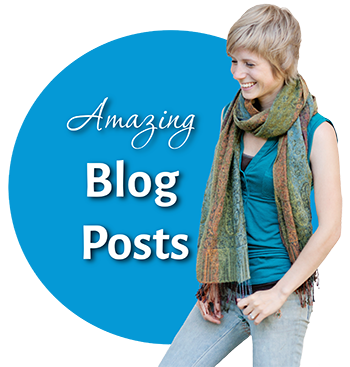 Thanks for your blog, like you say these articles make you realise things that you would normally ignore because it’s a routine that you ‘just do’. I think my safety net is maintaining a healthy lifestyle too. I can get freaked out if I eat junk even in small qualities for more than 3-4 days running, but I actually think that’s not a bad thing. When I eat out, at friends’ houses, I just eat what they’re having (unless it’s reaaaally sugary, in which case I just ask for a small portion “to taste”) and I choose not to worry about it (it’s one meal, for goodness sake). I think it’s all about perception… how we feel about actually having a safety net. I think this world is way too polluted. Wherever we go, we’re poisoned by toxins, and stressed by noise. I don’t want to have to live in the world and worry about everything I put in my mouth, but this is the place we’ve been born into, and unfortunately today that’s how it has to be. Having a safety net is great. I’ve chosen to embrace mine, not only so that I can keep acne at bay, but because man, look at this planet, and what capitalism has done to it. Even having to worry about making sure our bodies are kept “pure” is unnatural. Acne itself isn’t really natural. So what the heck, having a mental safety net is my cross to bear. I might not live longer than others. I might break out anyway. But I choose this lifestyle, and I truly enjoy it. 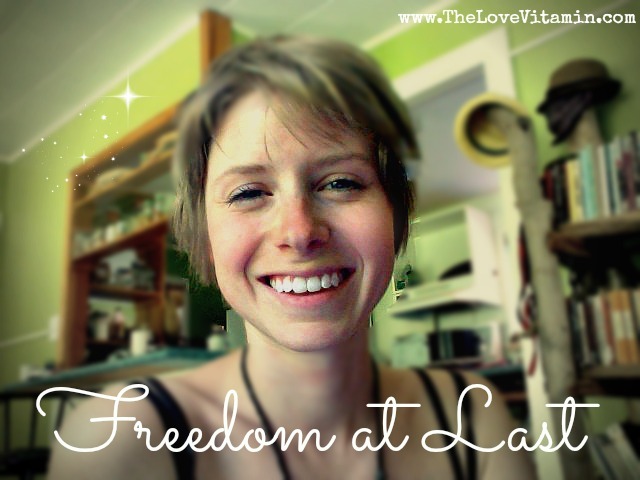 Once you start educating yourself in holistic health, you can’t go back. To a certain extent, you’ve lost your “innocence”. Where before you could travel anywhere, happy-go-lucky, and forget about what you were putting in your mouth, today it’s impossible, because you’ve gained all this knowledge. But in the end, do you really want to be care free again? And if so, why is that? That’s what you have to ask yourself. lemons and bentonite clay are my safety net. i feel like if i go eat something unhealthy or drink, then the next day im just like…bentonite clay!! yea! i used to use turmeric as a safety net, basically the same principle as the clay, only i was sucking down turmeric with water instead. it can get so difficult sometimes when you just wanna go live your damn life instead of worrying about this kindof stuff 🙁 i think im on board with you…i will make steps to making happiness my new safety net! My safety net is definitely being on the pill. as much as I hate taking it, my skin cleared up drastically when I had mild acne on my cheeks. Its now almost 10 years later and I am so scared to come off it as Ive often heard horror stories about people suffering bad break outs. My skin is very clear, my regime is simple and I rarely use much makeup. My diet is about 90% about good all the time. I would love to come off the pill eventually but too frightened!! im actually thinknig of going ON the pill! haha. i know its definanetly not the best thing for the body but…im a teenager and am so exhausted of ´worrying over everything i eat, and everytime i might get emotional, that my face could suffer. i want to live again just a little bit ! and if i have to take a pill to have such a freeom…hmmmmm. :/ its a tough one. 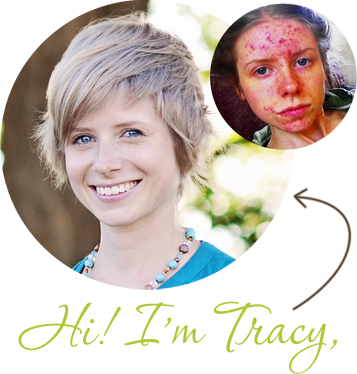 mIne was the pill too, it seemed to be the only thing that cleared acne up for me – although looking back now I realise there are deep emotional issues there relating to acne too. I was on the pill for 6 years and have been off it 5 months now and have had no significant breakouts (a couple of spots here and there, but I seemed to get those on the pill anyway). Since coming off the pill my safety nets have been eating as healthily as I can and drinking copious amounts of nettle tea, white & green tea and peppermint tea. Nettle tea just seems to deeply cleansing and nourishing to me, whereas peppermint and green tea have been known as anti-androgens, which I figure are my main problem when it comews to acne. Retina-A. This is the one unclean product I still cling to. Anyone have experience weaning off of this? My skin just gets really congested when I try to go without it. I get tons of tiny bumps everywhere. I think my skin produces too much keratin or something too. Any advice for that? As the kids say these days, O-M-G. The “safety dance” and the safety-dance withdrawal spots? Ugh. Genius. For me, a religious face-washer (now with Manuka honey–wooo), not washing strikes me as a perfect metaphor for not *caring* (i.e. being above it and trusting your body). I have an exemplary friend who has chronically beautiful skin–no visible pores, one hairline spot every six months… the woman will **wear her makeup for three days–the same makeup application… for days…!! ** She also eats whatever she wants. She happens to have the spirit of a wild stallion and the heart of a deep, deep romantic. She certainly doesn’t block out emotions or deny herself. That’s interesting, huh? She says she breaks out when she gets stressed out. Tracy, your Theory of “Good Diet”) Relativity is definitely relevant… I think it must matter quite a bit for each person though… It’s got to be more than belief or we’d heal with the power of our topical potions. Food is sustenance. It’s deep earthy stuff. I couldn’t trust my skin to heal quickly and glow until I began eating a conscious, balanced diet, with plenty of greens and fish… I don’t think it’s any one thing, but I think the better we do, the better… [I’ve said dairy, and for me, I definitely think so, but I guess others are different.] 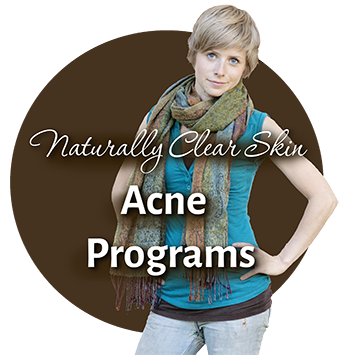 Gosh, what’s the difference between severe acne and occasional acne? It simply isn’t just emotional, mental stuff… Is it? Could it be happiness? Is it just that controlling food in a creative and responsible way is actually just a vessel for happiness? Ooohhh…. Safety dance. Here I go to remove my hour-long manuka mask… 🙂 Cheers, Ms. McCullough! Actually, I do think it’s both… I really do still believe that having a healthy diet makes a big difference! Also, while I legitimately think that diet IS very important, I also think that the more emotionally sound you are, the more license you get to cheat with your diet without it wreaking havoc on you. I think that if you had a “perfect” diet (whatever that is) and messed up emotions, maybe you could achieve perfect perfect skin…. but at what cost? You wouldn’t be able to leave your house. Basically, what I want to achieve is more mental reliance on happiness for my skin’s health than my diet (while still keeping up a healthy diet as is appropriate for whatever situation I’m in), and as a bi product, it also means I can have a bit more leeway with my diet before it causes problems 🙂 Hopefully. Not entirely related to this post–just commenting on your what you said about not washing your face being the best skin routine yet. Still going strong with that? I remember in another recent post you sounded a little iffy on it? I’m about to go off Benzoyl and trying to decide my next step–Must admit, the lazy girl in me thinks caveman sounds positively divine. Haha. Aw Tami, I’m so sorry your bad acne came back. That’s pretty much my worst nightmare 🙁 do you know that it’s a candida problem? But regarding safety net – what my life and experiences have to say about – the point is not to have any. It is remotely similar to a very mild OCD (to ease your anxiety you need some kind of artifical “affirmation” that what you are anxious about is not going to happen). So the goal should be to get you into the state when you feel/believe that if anything happens, you can handle it. That you have enough resources to be OK, to survive, to find a way out, to accept it, or to change it. You cannot really anticipate what life will bring your way (so you cannot prepare specifically in advance), but WHATEVER it is going to be, you yourself is arsenal strong enough to deal with it (your mind with ideas, your intuition, experiences, courage and all your strengths :)) = basicaly, it grows directly out of your self-esteem/confidence/awareness. That is my story and I realized that if you put a lot of baggage on anything (if you ascribe too much power/or inappropriate powers to something) you make it rule your life and then, when you lose it or it breaks or it goes away for a while or anything, you assume your life is gone as well. IMO, even Happiness does not deserve to be loaded with such a load of duties. Sometimes you are not happy, maybe you are sad or depressed… but it is because of something and it is good to find out the reason so you can see if something is not attacking your balance. To feel threatened that it is going to cause you another disaster is just more stress lowering your courage and self-esteem to sort out what the problem is with ease and without panic. I forgot about this post as no one has commented on it in a long time… it’s a very interesting topic…. and I think you are so right about everything you saidAna. I love that… that we are our own safety nets. Beautiful. Thank you so much for sharing this! Exactly. Be your own safety net :). Like you say that we should not be caught in our past.. well, we can use our past in a much better way – we can lean on it and build our self-confidence with it (and learn from it, of course). That is how really true self-esteem is build. You know what you are good at, what you are capable of, what you have to work on, what you like and what you do not, what you accept and what is intolerable and why. Repeat for some time and you will start to notice that you do not care much about your skin anymore. And when it needs some cure (I actually do not suffer from acne but psoriasis), you do it without that emotional load (just like you do when you cut your nails :)) and when you e.g. do not have time to do a procedure you just skip it without even paying attention to it. Keep up good job, Tracy. Good luck! I think I might write another article about this Ana! I love your perspective on it. Do you mind if I quote what you wrote here in it? correction: I meant “I cannot do anything to change my nephew´s situation” — hence, powerlessness. I am as superstitious as a major league baseball player when it comes to my acne.